Following Hurricane Irma, thousands of Florida residents were stranded without access to power. While this was dangerous for many of the storm’s victims, it proved to be deadly for ten nursing home residents in Hollywood Hills who were left to suffer in sweltering heat despite the presence of an air conditioned hospital across the street. The family members of these individuals have since filed lawsuits against the nursing home, alleging negligence. Filing these types of claims is difficult, so if you or a loved one sustained an injury as a result of a nursing home’s negligence, please contact a member of our personal injury legal team for help with your case. All nursing homes must abide by specific state regulations, which require that these types of facilities remain at comfortable and safe temperature levels. In fact, federal law also specifically requires nursing homes to keep the temperature of their facilities between 71 and 81 degrees. When these temperatures are exceeded, the lives of residents, who are often elderly and vulnerable, are put at risk. This may have been the case recently in Florida, where many of the victims were found to have body temperatures of up to 109 degrees. Although the investigation into the nursing home is still pending, the deceased’s family members allege that the nursing home failed to take reasonable measures to prepare for the power outage by having a permanent generator in place. Furthermore, the plaintiffs argue that the facility did not uphold its duty of care to the residents by failing to notify authorities of the emergency or to transport those suffering from heat-related illnesses to the nearby hospital. 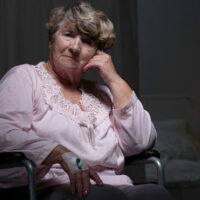 Unfortunately, this type of nursing home negligence is not uncommon and thousands of complaints are filed against negligent facilities every year. Although nothing can replace the loss of a loved one, collecting compensation to cover medical bills can go a long way towards helping injured or grieving parties begin the long road to recovery. As a result of the recent tragedy, Governor Rick Scott established new emergency requirements for all state nursing homes. The new measures require assisted living facilities and nursing homes to have the supplies and power necessary to sustain operations for at least 96 hours after a power outage. This includes mandatory installation of a generator and reserving an appropriate amount of fuel to maintain comfortable temperatures. The new measures, which went into effect last week, bring nursing homes in line with the requirements already in place for Florida’s hospitals. Failing to comply with these rules within 60 days will have serious consequences, including a $1,000 fine to be assessed each day that the violation is not remedied and the revocation of the facility’s license. Please contact Boone & Davis by calling 954-566-9919 to schedule a free consultation with an experienced Fort Lauderdale personal injury lawyer who can evaluate your case and explain your legal options. We can begin helping you immediately.